These little chocolately morsels don’t really need much introduction. We’re all familiar with the yellow box, cheeky monkey (*Side note – if you are in the US, you are probably more familiar with a brown box and Snap, Crackle, Pop mascots), and the catchy tag line – “just like a chocolate milkshake only crunchy”. And these really are. 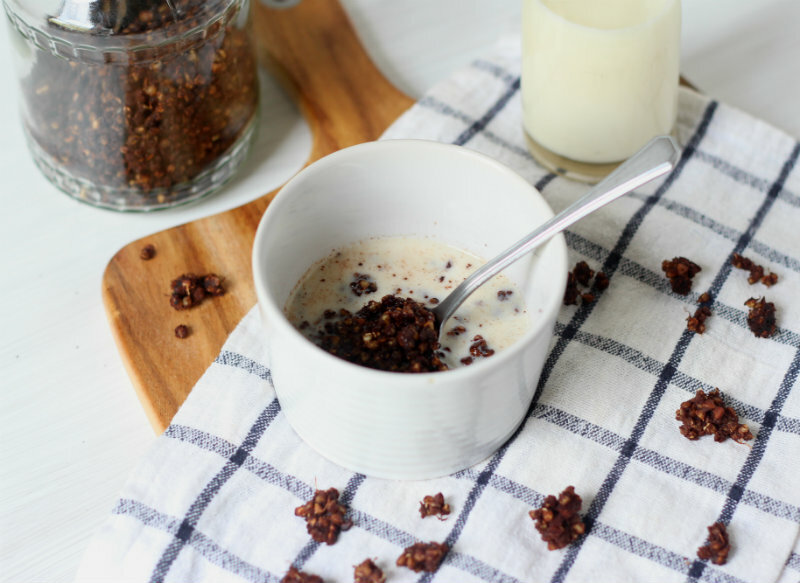 But, unlike the original, these little cacao pops have only 4 ingredients – buckwheat, cacao, coconut oil and maple syrup. Despite its misleading name, buckwheat is actually a fruit seed and not a grain. Its naturally gluten free, but does contain phytic acid which can binds some nutrients within the digestive tract making preventing their proper absorption. Therefore buckwheat needs to be properly washed, and preferably soaked to remove the phytic acid. I’ve gone a step further and sprouted mine to ensure maximum nutrition, however if you are desperate to have your crunchy chocolate pops sooner don’t want to wait the extra day or two (and I dont blame you at all, they are that good!) 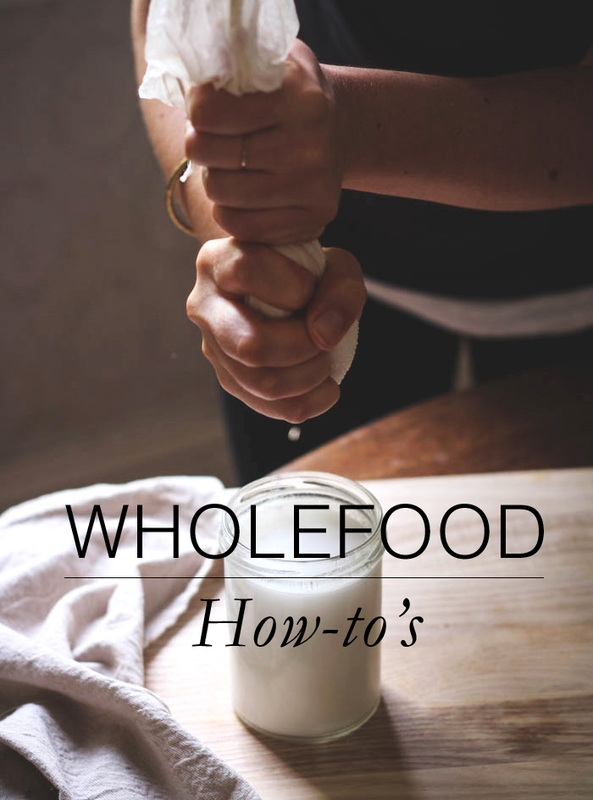 then feel free to skip the sprouting step and just soak the buckwheat instead. 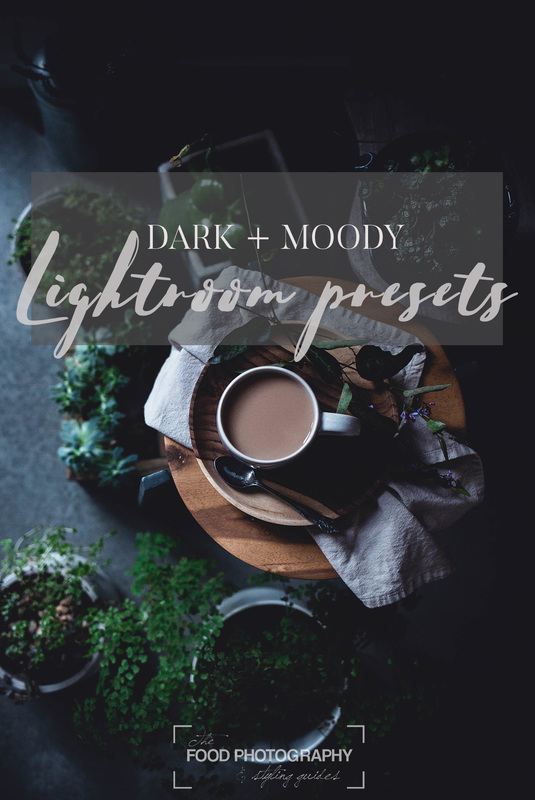 These crunchy little chocolate pops contain a whole range of goodness from manganese in the buckwheat – essential for proper functioning of the human body, to phenylethylamine in the cacao which acts as a mood enhancer. 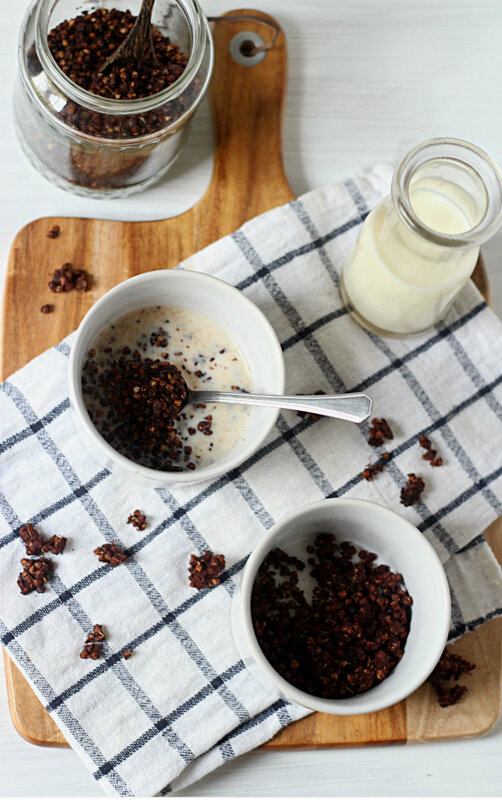 So instead of getting a sugar crash a few hours after eating like you might with some other sugar-laden cereals, you actually may feel uplifted after eating these cacao pops – its a win-win situation all round. But most importantly, they taste AMAZING! I was a little worried my cacao pop experiment would fizzle and I’d be left with nothing more than a shattered vision and a pile of wasted cacao mess, but they couldn’t have turned out any better. 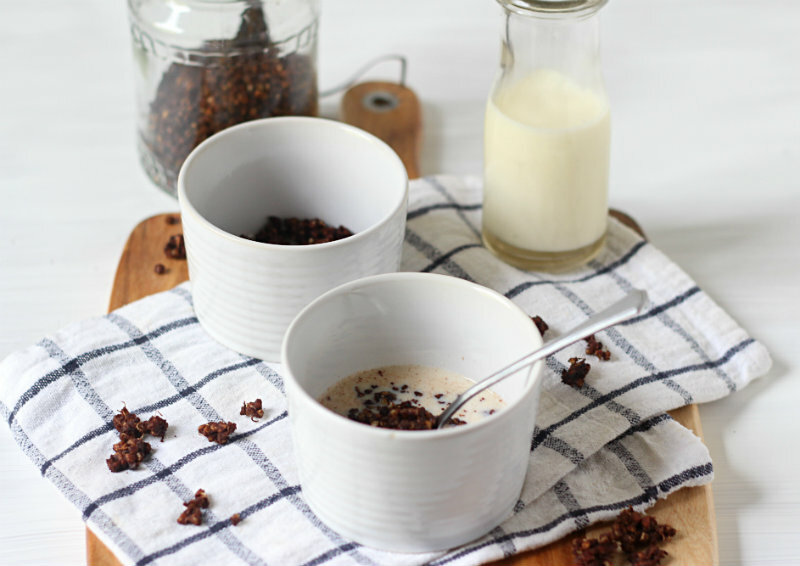 If you were a fan of the original, definitely give these a go – theres a bit more effort required but you’ll be rewarded by a healthy, delicious bowl of tasty treats afterwards that taste like.. well, somewhat like a chocolate milkshake. But only crunchy. Notes: As discussed above, the sprouting step above is optional. With regards to baking the cacao pops, the goal here is to dry them out completely (without burning them!) The times below are based on my oven, I suggest you keep an eye on yours and stir regularly to prevent them from drying out. A lower temperature and longer bake works best if you have the time, or I imagine a food dehydrator would work wonders if you have one. 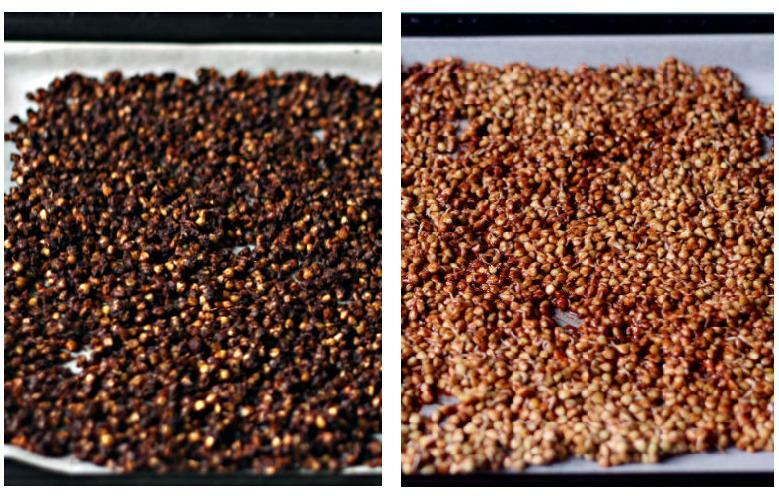 To prepare the buckwheat, rinse under cold water, and then soak with evough water to cover by an inch overnight. In the morning, rinse to remove all the starchy residue off, and then place either in a sprouting jar or in a mesh seive over a bowl, covered for a day or two until the buckwheat starts to sprout. You will need to rinse twice a day whilst sprouting. To make the cacao pops, preheat your oven to 120 C || 250 F. Add the coconut oil, cacao and maple syrup to a small saucepan over low heat and stir until melted. Stir through the soaked/sprouted buckwheat until all the groats are coated. Pour the groats onto a lined baking tray and spread out into a thin layer. Bake in the oven for 60 – 75 minutes, stirring every 15 minutes. Nothing beats chocolate for breakfast. Nothing. Oh well, except for healthy chocolate breakfast. This recipe seriously makes me happy. I can’t wait to make this. Thanks for sharing! What a great idea! I don’t enjoy the taste of buckwheat when it is cooked in porridge. But I recently found out that I do love it when it is roasted in the oven for granola. So I am glad to have another recipe that I know I’ll enjoy! I’ve heard buckwheat gets too soggy when soaked. Do you have this problem, or does it not matter because it crisps back up in the oven? I am so intrigued by these cacao pops! I’ve actually never had the original, but these still look amazing. 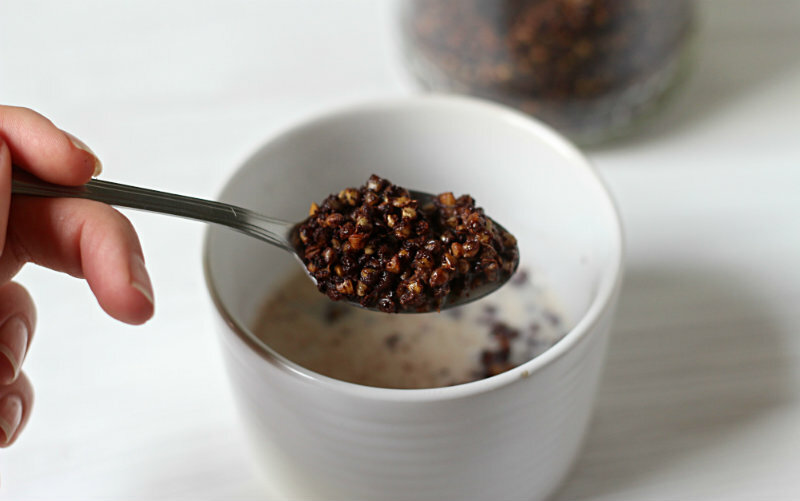 I have never tried buckwheat – thanks for the intro! Ah, I didn’t know what you were talking about either, but now I do! ;-) Never had the cocoa krispies either but I’m sure if kids were introduced to these cacao pops first they’d have no desire for the other stuff!! We’ve been robbed of a cheeky monkey! He sounds like much more fun than Snap, Crackle & Pop. I only ever really liked Pop anyway. ;) This looks fabulous. The man of the house is a big cereal fan so I may have to try this out on him. Have a great weekend! 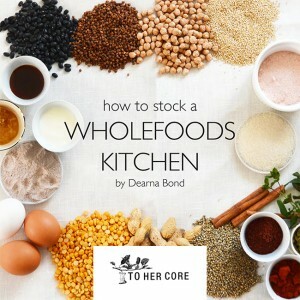 Aw, I wanted to make this so badly that I went out to buy whole buckwheat just the day after I read this post, but I couldn’t find it :( I know I can get it somewhere here, so I still really want to make it. I just have to wait some time. Sigh. 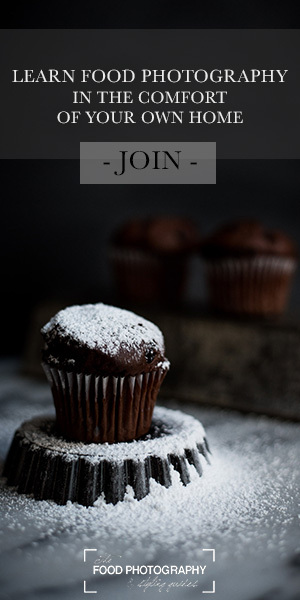 I’ve never used raw cacao before and am confused. Do you use the raw unroasted beans? (Pretty certain you’d mention that and have a few more steps if you did) Does it come in chunks or powder form? Please let me know. 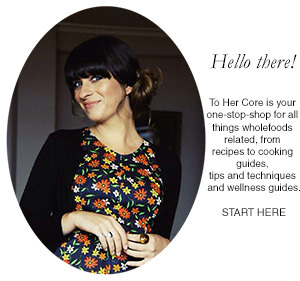 This sounds wonderful and would like to try it soon. Thanks for responding. I found the powder and can’t wait to try the recipe! Dearna!! I just made these using some of my sprouted buckwheat (because well, these have been on my to-make list ever since you posted this recipe ages ago) and oh my… this is delicious! I can’t wait to eat it on my yoghurt. Yum! Thank you once again for an amazing recipe!